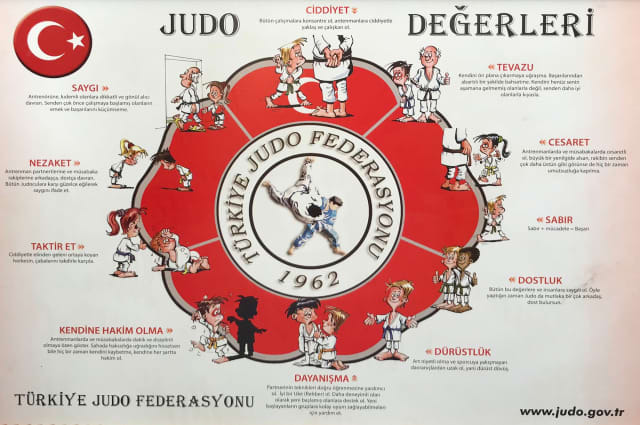 Only a few years ago, most people in Turkey saw judo as a violent and dangerous sport. It was one of the reasons you wouldn’t see many young girls practicing judo. But the image of the sport drastically changed in the last years and is still changing in a positive way. People start to get to know and understand the benefits of it. 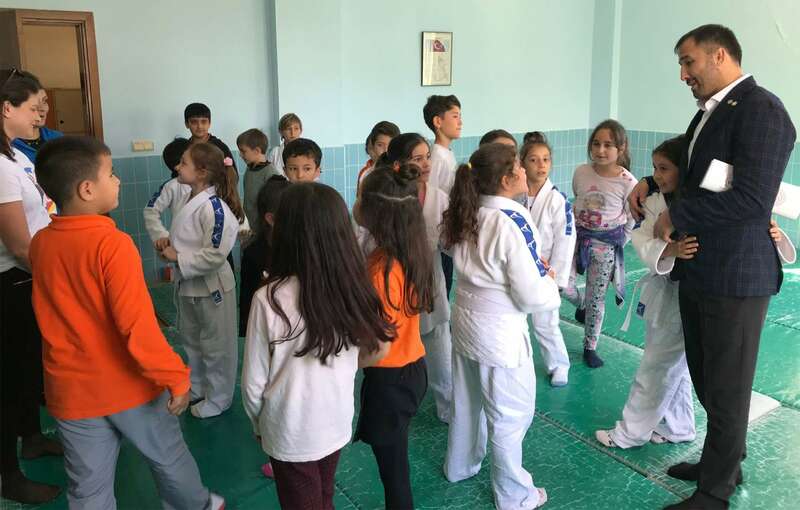 Slowly more children start to engage and judo is gaining popularity in the country. One of the latest developments is the IJF Judo in Schools project coming to Turkey. 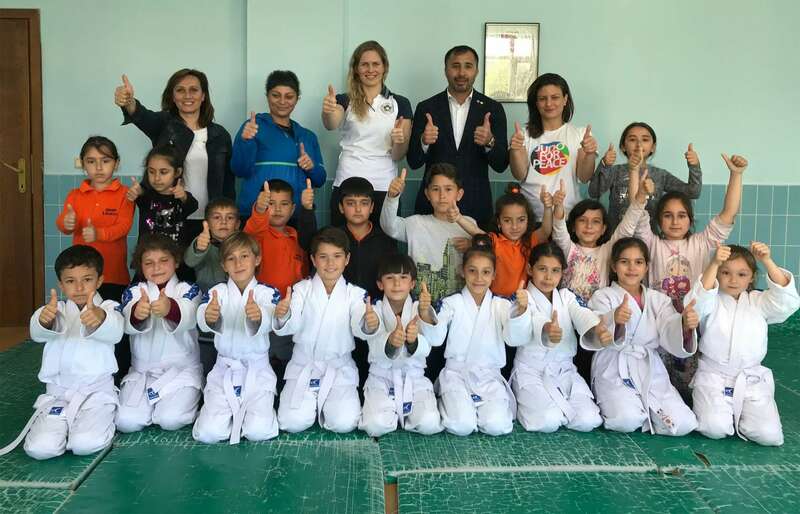 On the eve of the Antalya Grand Prix, a new cooperation between the IJF, the Turkish Judo Federation and the Ministry of Sports was signed (https://www.ijf.org/news/show/judo-invests-schools-in-turkey). 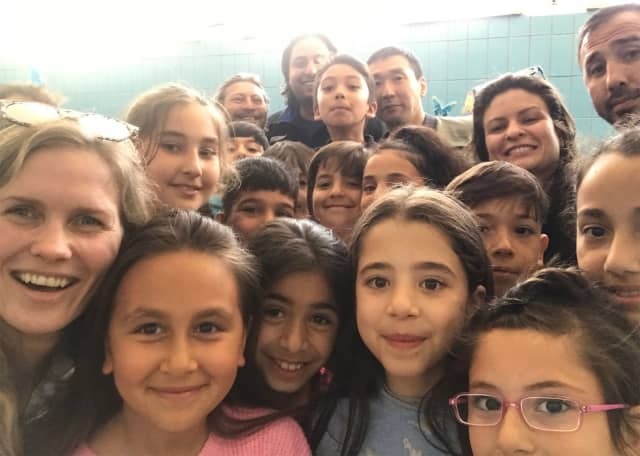 The first visit was at Seker Elementary School in Antalya. Two girls in judogi were waiting outside to welcome the guests. Inside, more children were waiting to show to the IJF and Huysuz what they already learned. IJF Judo in Schools is a pedagogic exercise program to develop children’s mental and physical health. Judo in Schools contributes to children’s social-emotional development, and improves social safety at schools. The methodology is based on the core values of judo with an added extra value: Fun. With Judo in Schools, learning is all about having fun and enjoying being together on the tatami and in the classroom.